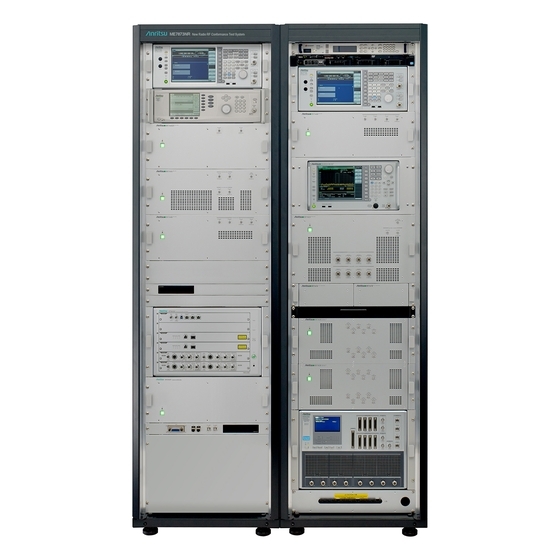 Anritsu’s long experience in Conformance Test development started with the first 3G services and continues to the present as the company provides timely solutions meeting customers' expectations, including future 5G deployments. Anritsu is continuing to deliver experience-based trusted test solutions incorporating state-of-the-art technology to customers. We shall continue with early release of 3GPPcompliant RF Conformance Test cases also for 5G deployments. The ME7873NR is fully 3GPP-compliant and supports key frequency bands. It can test almost all 5G NR mobiles used worldwide. Auto correction before measurement eliminates drift due to temperature changes, greatly improving measurement stability. *: The design, explanation and appearance are subject to change without notice.